Anthem Blue Cross Blue Shield of Connecticut and New Hampshire have announced that Oct 14th will be the last day new members can join Tonik. This means Tonik will be effective full and anyone hoping to join after October 14th will be out of luck. Those members who have already joined Tonik can keep their plan and no action is required at this time. The Tonik application page will still be up for new applications until the deadline. We are recommending that all CT and NH applicants submit their application by October 13 as it is unclear at what time on the following day the application will no longer be functioning. Oh my gosh, I can’t believe I missed the deadline for this! Thanks for the post tho! 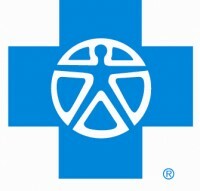 You may use a local Blue Cross and or Blue Shield participating provider. If you use one of these providers, your â€œout of pocketâ€� expenses may be lower than those incurred when using non participating providers. Actually its really one of the nice ending plan that you have mentioned here.I think medical insurance plans are also better. I hear they are coming out with a smartsense plan soon. Thanks for providing the tonik application form. I am really glad i found this. Thanks for sharing the information about health care. And i want to know the new polices too. I really hate that they are ending this plan. I really thing the plan is so good and covers so much. I am not sure what the reason is behind this.